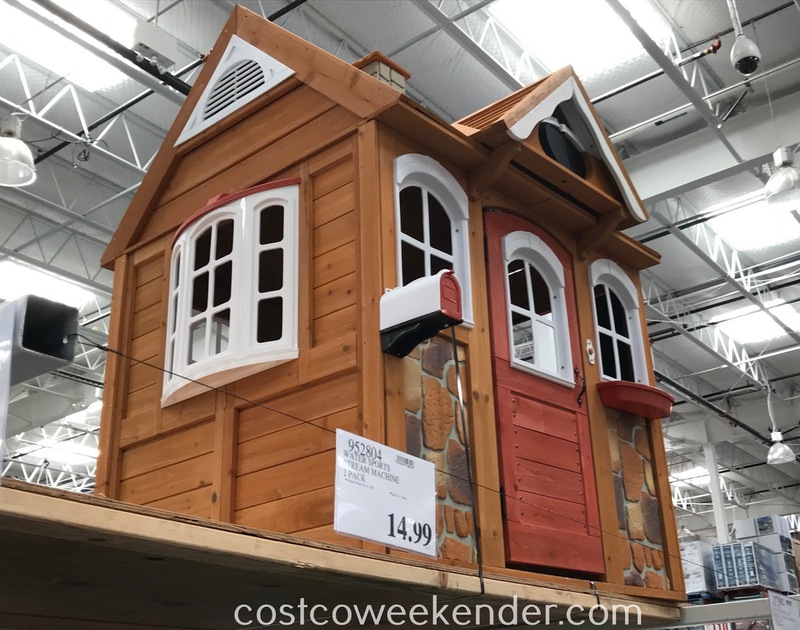 This beautifully designed playhouse has many details that will keep your children busy and entertained for hours on end. Your kid will thoroughly enjoy playing make-believe in this playhouse. Although kids like hanging out with you, there are times when they want their own space. 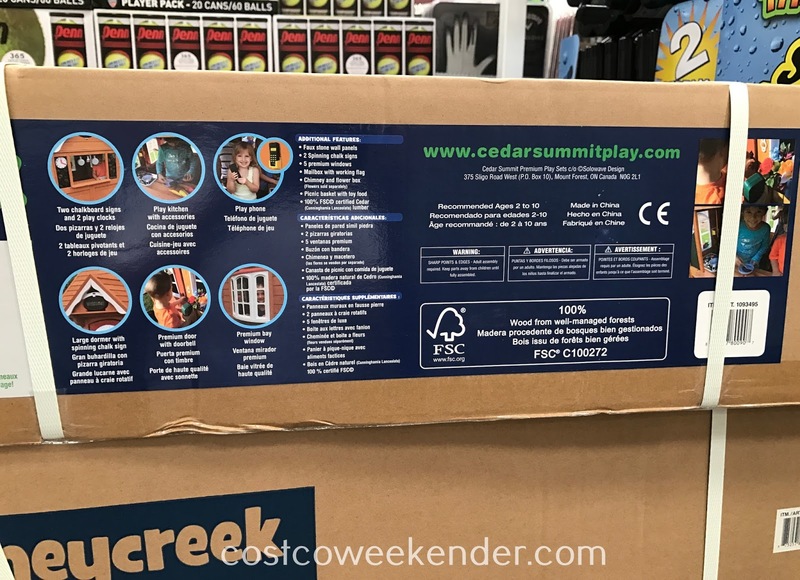 So give them their space (and it's a perfect excuse for you to have some alone time) with the Cedar Summit Stoneycreek Cedar Playhouse from Costco. Give your kids a gift that would stimulate their imagination, one that also happens to look great in your backyard. 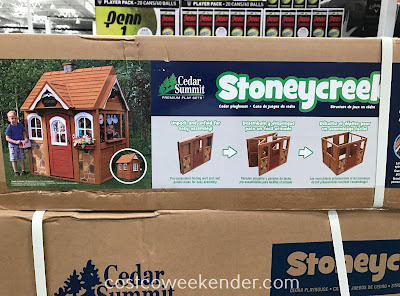 With a detailed faux stone wall and chimney, working door with doorbell, the large premium windows including an extra-large Bay Window, the Stoneycreek has everything! 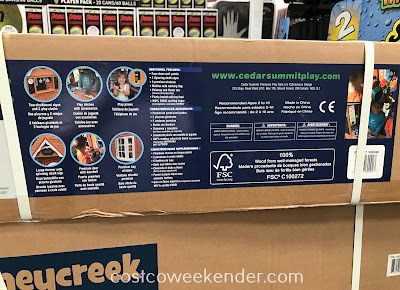 The Deluxe Kitchen Set provides kids with the perfect spot to get creative as they cook up something delicious with the play sink, stove and utensils. 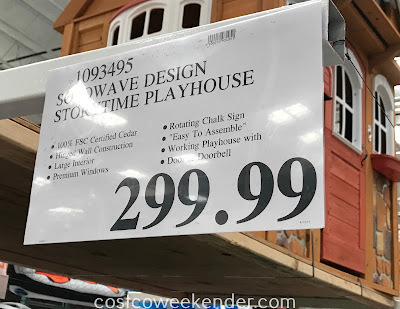 It even comes with some play food to spark their imagination! Cedar Summit Stoneycreek Cedar Playhouse - The perfect addition to every backyard!